Mariann and I met sometime in 1992, I think. 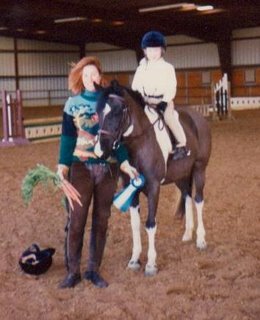 I had purchased my first horse, Tinker, a year or so before and met Mariann when I moved Tinker to the barn where Mariann trained. She and I became fast friends since we were both at the barn so much. 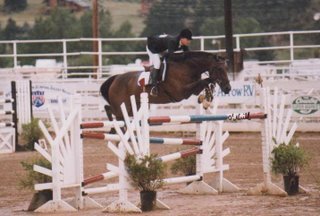 Mariann had grown up showing horses and was an amazing rider and excellent trainer. After a while we all moved to a new barn where I did all the ‘grunt work’ for board. I had my horse to pay for and Tori’s little pony, too and money was tight. Soon we all realized this place wasn’t going to work for us and we moved to a new place, my place. My then husband and I owned the barn and the land, and Mariann was the trainer. All of our friends, and Mariann’s clients, brought their horses out there and soon our barn was full. 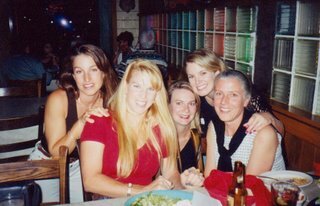 It was a great time during those years, always hanging out together while we worked, me on the ground and her on horses. Tori grew up and soon Zach was on the way. Mariann was always there for me and we spent hours and hours just talking about life. Our friendship weathered many storms, and aside from my childhood best friend, Mariann was my closest and most trusted friend. When my first marriage was falling apart, Mariann was there for me. She stood beside me and encouraged me. When I divorced in 1997, I left Texas and Mariann and I didn’t see each other many more times. I missed her and our relationship, it was hard to stay connected over so many miles. But we tried. 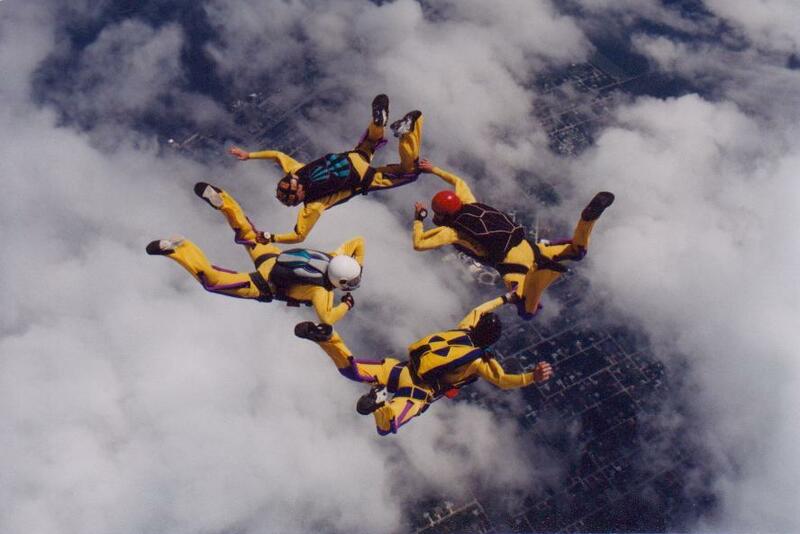 We both had such different goals for our lives… Mariann was pursuing her new passion of skydiving and I was creating a new family with Chris (whom I met when I was out with her, BTW :)). She loved going out and living life to it’s fullest and I loved spending the evening with my kids watching movies. It became harder and harder to connect. Eventually, in 2001, we lost touch. It will be a regret I have for the rest of my life. Now I will never have the chance to pick up the phone and talk about all the good times we had. Never a chance to get together and giggle about how much older we look now. She was an incredible person, one with a zest for life and a passion for others. She never met a stranger and was the first person to lend a hand to anyone in need. As talented as she was at riding, she had a humility that amazed all of us who knew her. She will be missed by the many people who’s lives she touched. And I am one. Mariann Kramer died in a freak skydiving accident on Saturday, July 22 at a competition in Denver, Colorado. Her main parachute failed and she cut it away. She deployed her back up chute and it malfunctioned, sending her into a spin that landed her in a field. She was conscious when they took her to a Denver hospital, but she died hours later. She had made somewhere around 4000 jumps. She was buried today in McKinney, Texas. Here’s to you, Mariann. My heart truly breaks for you… what an incredible loss, and what a beautiful friendship the two of you shared. I hope your memories of her lift you up and give you a lasting peace. I check your site almost every day – thank you so much for your posts. My husband and I are awaiting our TA for our daughter from Hunan province (our first child). Your blog is an inspiration to me – what a beautiful family you have. Although I don’t know you personally, I feel as though I do through “cyberspace.” I am so sorry for the loss of your friend – (I had read the story in the paper as my family lives in Frisco and I am originally from Dallas) -she seemed to truly enjoy life. My thoughts will be with you and your family. I am so sorry to read about your friend Mariann. You are in my thoughts. I am truly sorry for your loss. I am from McKinney and read about her accident in our local paper. I had no idea she was your friend. I hope that her spirit for life helps to lift your spirits now.